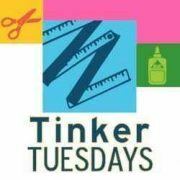 Tinker Tuesdays are maker workshops for adults! Create a watercolor still life using the library as inspiration. Instructor will lead you through basic watercolor techniques and tips for drawing and painting from observation. Students will leave with a completed watercolor still life.